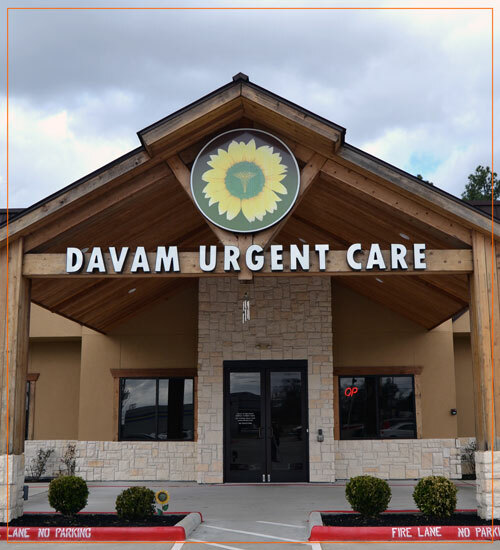 Davam Urgent Care is an after hours medical clinic serving the residents of Spring, TX and its surrounding communities. Our urgent care clinic is designed to exceed the expectation of care and provide the best customer service possible. When you visit our clinic, you will have a short wait time and always be seen by a board certified medical provider. We also accept most commercial insurance plans, offer affordable prompt pay options, and have a medical membership plan. In addition to the services listed above, Davam Urgent Care has a full-service lab and a digital x-ray machine on site. We are also the only Accredited urgent care clinic in Montgomery County and the Spring, TX area. UCAOA Accreditation is the highest level of distinction and shows that we have met all of the Urgent Care Association of America’s established standards and criteria for quality of patient care, patient privacy, safety, and scope of services. For more information please contact us at (281) 583-1980 or visit Davam Urgent Care’s online check in page. Davam Urgent Care is located at 6022 FM 1488 Magnolia, TX 77354. We are open 8am-9pm, 7 days week. Davam Urgent Care services the Spring zip codes of 77373, 77381, 77382, 77386, 77391, 77393, 77379, 77380, 77383, 77387, 77388, 77389, and more. We are also in close proximity to Augusta Pines, Auburn Lakes, Klein Meadows, Harmony, and Creekside Park.